The exhilarating G2655 Streamliner™ Center Block Junior Double-Cut is designed for three simple things—high gain-friendly performance, slick, easy playability and spectacular style. 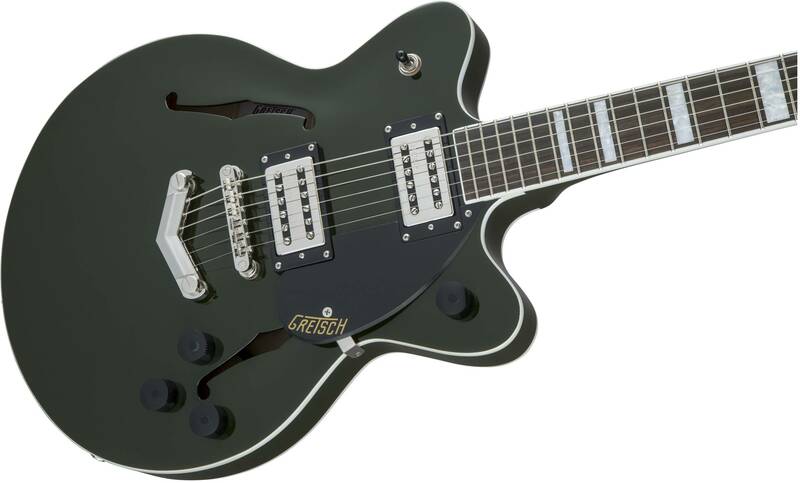 A sleek music machine, the G2655 cranks out the hits with updated features while staying true to That Great Gretsch Sound!™ that’s been a vital component of rock ‘n’ roll since its inception. The secret to the Streamliner’s sound is twofold—the Broad’Tron™ humbucking pickup and the spruce center block. 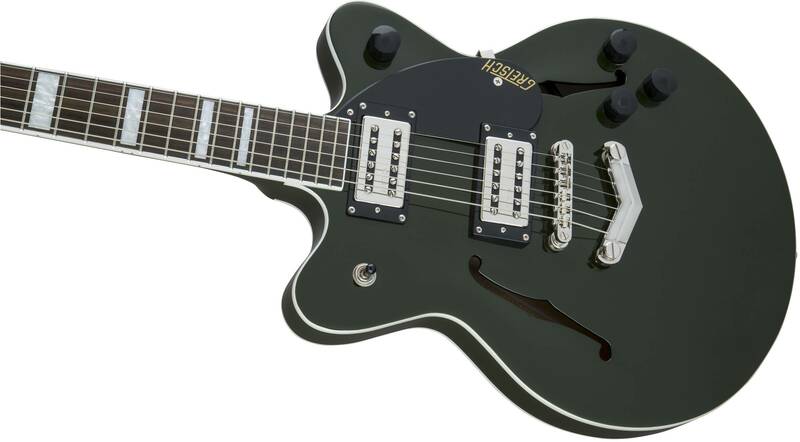 Specifically designed by the expert engineers at Gretsch for the Streamliner, the high-output Broad’Tron humbucking pickup spawns robust lows, pristine highs and a throaty midrange for a unique tone that blends well with other instruments in a band context. A lightweight spruce center block runs the length of the body, reinforcing the top while eliminating undesirable feedback for volume-friendly performance on modern stages. The Streamliner’s sonic power is harnessed and shaped by the traditional control layout—neck and bridge pickup volume controls, a master tone control, master volume control and three-way pickup switching. A fast-playing 12”-radius rosewood fingerboard with elegant pearloid block inlays and 22 medium jumbo frets sits atop the white-bound nato neck with a thin “U”-shaped profile—ideal for chord work or fiery riffing. 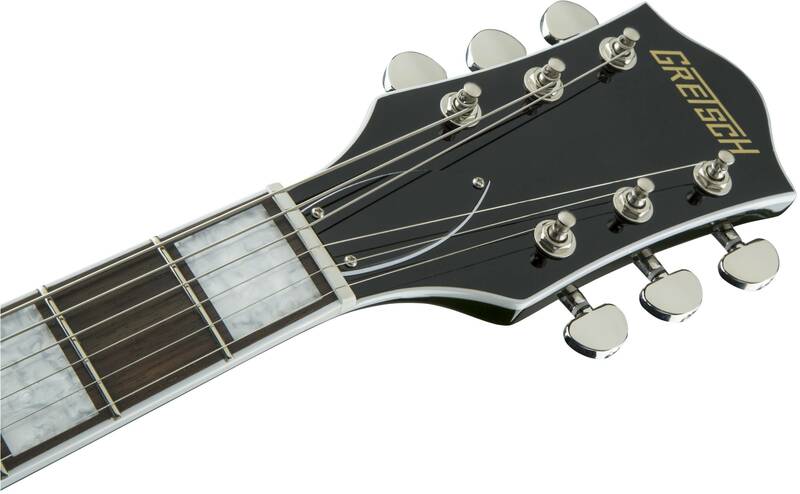 Enjoy rock-solid tuning stability courtesy of the stylish Gretsch V-Stoptail tailpiece, Adjusto-Matic™ bridge with an anchored base and synthetic bone nut. 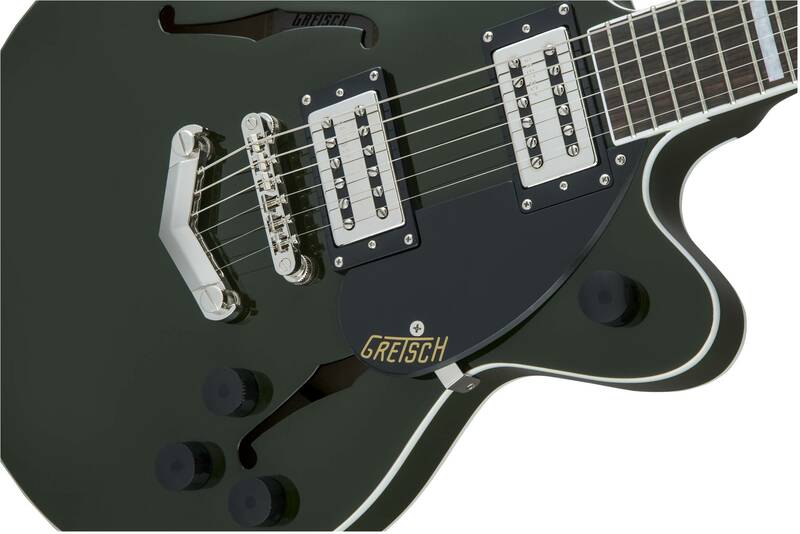 All the classic eye-catching style you’ve come to expect from Gretsch is here—vintage-style black control knobs, F-holes, elegant two-ply white and black body binding, slick-looking nickel hardware, single-ply black pickguard with Gretsch logo and arched laminated maple construction. Easy to play while rocking out thanks to its smaller body, the G2655 is a phenomenal instrument for the modern musician who wants to control the stage and the audience while standing out from the pack. Available in Flagstaff Sunset and Torino Green.